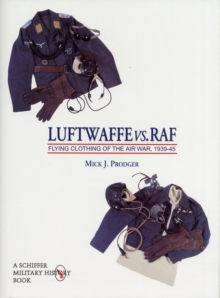 This second of a two volume study closely examines the development and uses of personal flying equipment issued to the combat personnel of the Luftwaffe and Royal Air Force throughout World War II. Illustrated wih over 500 photographs a 450 in color and including many detailed close-ups a this book brings together an exceptional array of rarely seen combat equipment. From compasses secreted in tunic buttons, to floating rations, and from suits with built-in parachutes, to box-kite radio antennae, you'll find it all discussed in this volume. All types of parachutes and harnesses, life preservers and the origin of the "Mae West" nickname, inflatable boats, survival tools, weapons for self-defense, and even some of the paperwork and personal items carried by the airmen of these two opposing air forces. 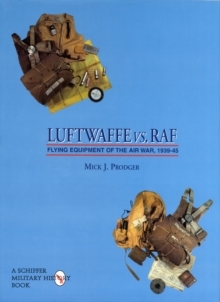 Study the sophisticated rescue and survival equipment available to Luftwaffe crews, alongside the clever, yet often brilliantly simple devices which enabled so many RAF flyers to evade capture for so long, some eventually making it home through occupied Europe. Like its companion volume Luftwaffe vs. RAF: Flying Clothing of the Air War, 1939-45, this book will be an invaluable reference for artists, collectors, modellers, living history re-enactors and military historians, and should be of interest to anyone with an affinity for the human side of twentieth century military history. 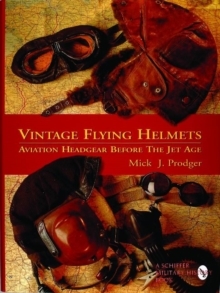 Mick Prodger is also the author of Vintage Flying Helmets: Aviation Headgear Before the Jet Age (from Schiffer Publishing Ltd.).